As tablets and smartphones grow in popularity, an increasing number of consumers are accessing the internet through these mobile devices. 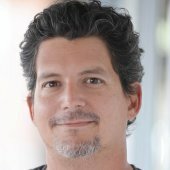 This had been problematic for marketers, because mobile advertising techniques were struggling to match the effectiveness of desktop ads. However, a recent report from Nielsen found that mobile ads are now on par with their desktop counterparts. Nielsen recently released their Nielsen Digital Ad Benchmarks and Findings for the second quarter of 2016. The report reflects the average on-target percentage for nearly 40,000 campaigns measured by Nielsen Digital Ad Ratings in the U.S.
“These numbers further reinforce that mobile is proving itself to be a more highly personal platform and highlight the potential it holds for more precise connections,” says Nielsen, according to media reports. This isn’t to say that mobile and desktop ads are going to perform exactly as well in all situations. Like most things in marketing, things can look different when broken down by age groups. According to the Nielsen report, in campaigns geared toward people aged 18-49, mobile campaigns saw a lower on-target percentage compared with desktop campaigns, 64 percent versus 70 percent, respectively. While covering multiple generations, the 18-49 age range is considered to be a highly valuable group for marketers. People in this age range are either first determining brand preferences or have established themselves enough to make larger purchases. Granted, a difference of 6 percent may not seem like much, but it matters with internet ad campaigns that reach thousands and millions of people. It can mean a lot of missed opportunities if you aren’t using the best formats for a target audience. The advantage shown by desktops in the broad demographics melts away when you look at smaller age ranges and at younger audiences. 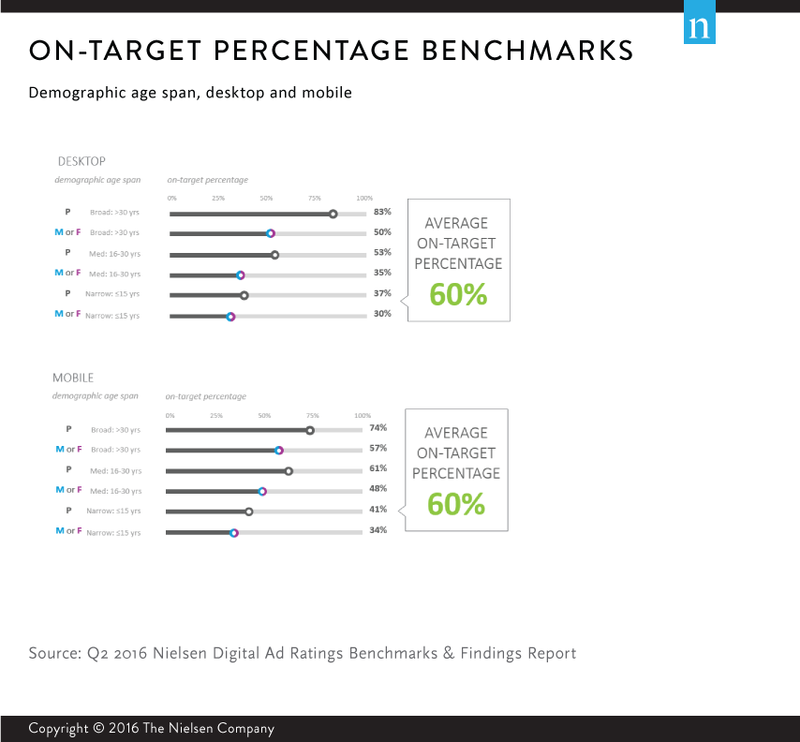 According to data from Nielsen, for campaigns aimed at people aged 18-34, mobile ads had the performance advantage, outperforming desktop ads, 63 percent compared with 53 percent, respectively. Even with older Millennials and later Gen Xers, the report notes that mobile campaigns intending to reach people aged 25-44 performed higher than desktop campaigns seeking the same audience, 64 percent compared with 42 percent. All of this data shows that marketers who want to reach their target audience will need to use a mix of desktop and mobile ads to reach consumers in the modern age. Most ad networks, like Google’s and Facebook’s, allow marketers to run ads on both desktop and mobile. It’s clear that for the near future, marketers will still need to use both. For more recent research on marketing, read this article on social media affects buying decisions.